The Madison College baseball team has played 20 games already this season and, weather permitting, will finally have its home opener at Robin Roberts Field this week. Still, the WolfPack is off to a fairly successful start. The team is 12-8 overall, having won six of its last eight games. 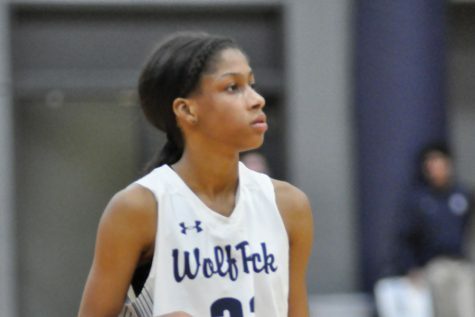 Unfortunately, the two losses were to conference rival College of DuPage. 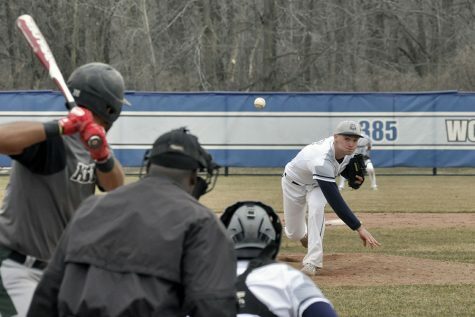 Madison College’s most recent doubleheader was moved from Prairie State College’s field in Chicago Heights, Ill., to Sun Prairie High School just a few miles northeast of Madison. The WolfPack had no trouble making itself at home, posting double-digit wins both games on April 2. Madison College won the first game, 16-2, pounding out 10 hits and taking advantage of five errors by Prairie State College. A five-run fourth inning swung momentum toward the WolfPack, giving the team a 6-2 advantage. Tanner Umentum provided a big boost in the inning with a two-run double for Madison College. Prairie State made two errors in the inning to help fuel the WolfPack outburst. Madison College tacked on three more runs in the fifth inning, keyed by Cade Bunnell’s two-run double. From there on, it was all Madison College as the team added seven more runs in the sixth inning, allowing the game to end by run-rule. Riley Pelischek pitched the win for the WolfPack, allowing just three hits and one earned run in five innings. He struck out seven batters, while walking only one. The second game against Prairie State was another 14-run game. 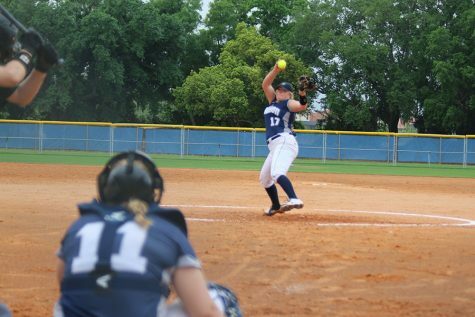 This time, Madison College won 14-0 in five innings. A 10-run third inning put the game away for the WolfPack. Madison College had eight hits in the game, but Prairie State inflicted much of the damage itself with 13 walks and three errors. Logan Michaels had two hits, including a double, to lead Madison College. Umentum added a double, two walks and two runs batted in. Matt Hamilton pitched the win for Madison College, allowing four hits in three innings. Madison College was scheduled to open its home season on April 4 against College of Lake County. The team will also host Morton College on April 6 at 3 p.m. and 6 p.m. and Harper College on April 8 at noon and 3 p.m.
Madison College’s Logan Michaels holds his hand to his ear, jokingly telling his teammates he can’t hear them cheering, after hitting a two-run double in the second game of a double header against Prairie State College on April 2. Madison College posted a 14-0 victory in the game, which was played at Sun Prairie High School. A three-run rally in the bottom of the seventh inning lifted College of DuPage over Madison College, 6-5, in the first game of a doubleheader on April 1. Madison College entered the bottom of the seventh with a 5-3 lead. But three singles, two walks and an error allowed College of DuPage to steal the victory. Kian O’Brien and Chris Lund led the way offensively for Madison College. Both had two hits and a double. Lund led the team with three runs batted in. The second game of the doubleheader saw College of DuPage take control with a five-run third inning as it beat Madison College, 9-1. College of DuPage out-hit Madison College 11-2 in the game and took advantage of four WolfPack errors. 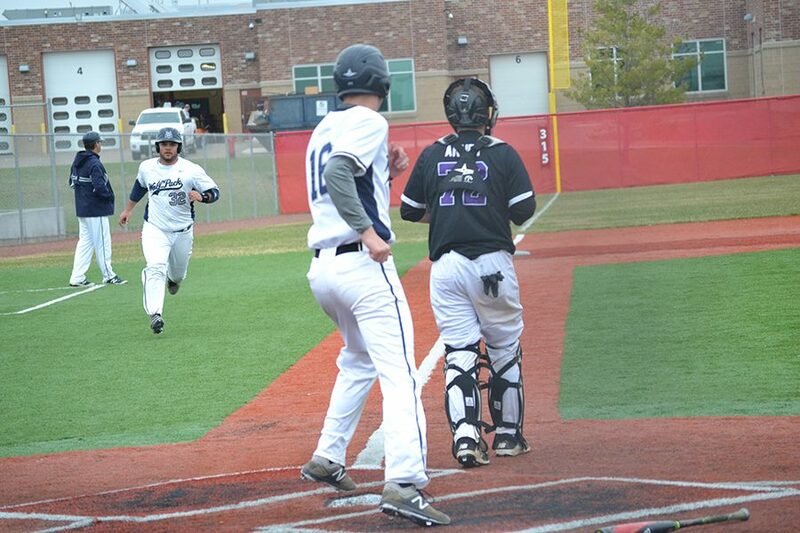 Umentum doubled and scored the only run for Madison College in the fourth inning. A bases-loaded walk to Caleb Hurt allowed Madison College to score the winning run in its 3-2 victory over Elgin Community College in the first game of a doubleheader on March 28. The walk scored Logan Michaels, who had opened the inning with a single and advanced to third on a double by Sage Bruhl. An intentional walk and a strike out, set up Hurt’s game-winning two-out walk. Pitcher Hank Schau pitched a 1-2-3 bottom of the seventh inning for the complete game victory. He held Elgin to two runs on one hit and seven strikeouts. Schau is now 3-0 on the season. Lund led the team offensively with three hits and one RBI, while O’Brien and Bruhl each added two hits. 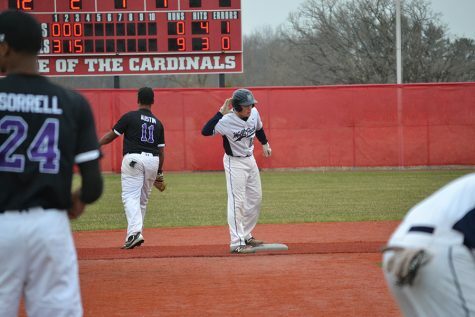 A three-run third inning gave Madison College all the offense it would need in a 6-2 victory over Elgin Community College in the second game of the double header. A pair of doubles in the inning, by Chase Scharnek and O’Brien, helped fuel the offensive outburst. O’Brien finished the game with two hits, while Garrett McGraw scored twice. Sam Lund pitched into the fifth inning and earned the victory for Madison College, allowing two runs on eight hits and five strikeouts.